Published August 2016 by Andersen Press. Goodreads Synopsis: A funny and frank superhero story set in the world of Othergirl. 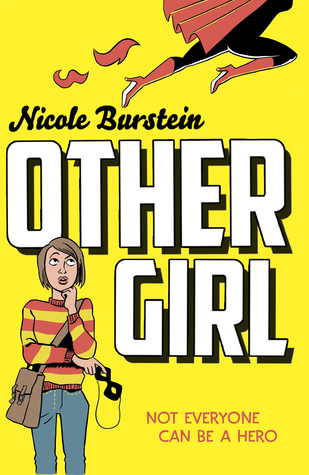 My Review: I absolutely adored Othergirl, Nicole Burstein’s debut novel – so when I discovered her second book was coming out, I was eager to give it a go! I dove into this thinking it was a sequel to Burstein’s debut – but it’s in fact simply set in the same world as Othergirl – a world much like ours, but with global network of superheroes called the Vigils. 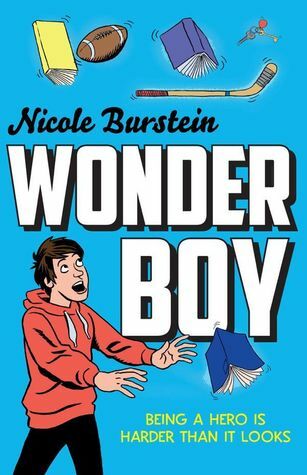 Wonderboy can be read as a standalone novel – though, to appreciate a couple of scenes even more, it’s definitely worth reading Burstein’s first book too! I love that, despite Wonderboy being a brilliantly adventurous story, it’s still down to earth in the sense that it addresses some serious topics as well. Quite cleverly, when Joseph reveals his identity, it mirrors coming out in a couple of scenes, which I thought was actually a very cool and important thing to do, especially for an audience of young readers. Joseph’s life also really well explored, and we learn lots of things about his life that are the reason why he is bullied; for instance, how his mum doesn’t have very much money, so he’s in a private school on a scholarship that is looked down upon.I really liked how Burstein wrote about this so realistically. It is so hard to not love the characters. Of both books Burstein has written, I have adored all of the protagonists. They’re just fantastic! Joseph was really relatable, I think, and such a well fleshed-out character. Although we didn’t see very much of him ‘in action,’ (this is more of a story about him discovering his powers) I grew to love reading about him. Overall, Wonderboy was a really brilliant read, from an author I know will be only be gaining more and more attention in the world of fiction. Nicole is a fantastic writer, and has crafted yet another enjoyable story in her instant-classic superhero world. Fingers crossed there’ll be another title soon! I received a copy of Wonderboy from the publisher, via Lovereading4kids, in exchange for a review. In no way at all did this affect my thoughts. This entry was posted in Book Review and tagged 2016 release, andersen press, contemporary, fiction, lovereading4kids review, middle grade, nicole burstein, super powers, superheroes, ukmg, ukya, wonderboy, YA on August 31, 2016 by Gee. Published 2nd April 2015 by Andersen Press. Goodreads Synopsis: Louise and Erica have been best friends since forever. They’re closer than sisters and depend on each other for almost everything. Just one problem: Erica has superpowers. Life isn’t a comic book – it’s even crazier than that. 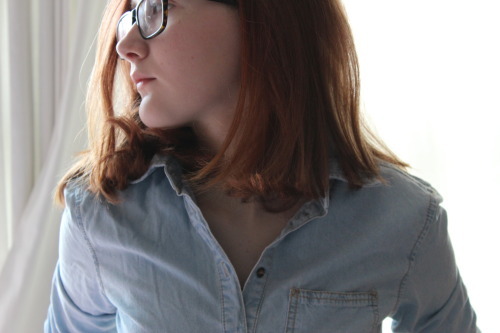 My Review: I’ve been following the author of Othergirl, Nicole, on Twitter for a while and she often tweets about geeky awesomeness, mainly comics – so I was really eager to read her début novel as soon as I heard of the book deal. After what seemed like a long time, I wandered into Waterstones a while ago and didn’t realise it was out. I’ve never purchased a book quicker! A main reason I was excited about this was that it tells the story of the one stock comic book character who’s always left behind; the superhero’s best friend. Louise has known Erica for years, and helped her through her discovery of superpowers – even making a costume for her.When Erica’s secret powers suddenly mean she’s part of a very big event, Louise is pretty much left behind, as Erica quite literally flies off without her. The characters are so brilliantly crafted and understandable. Louise is a caring friend who always goes the extra mile, while Erica is more self-absorbed and tends to be more reckless and angry. Their chemistry is really interesting. I never fully liked Erica as she was often pretty dismissive of Louise – and I resonated with Louise more, being the typical quiet nerd. The ending made me tear up a little, actually! Overall, Othergirl was definitely worth the wait. It was exactly as great as I wished it would be, and more. I’m so happy there’s a book like this in the YA market. The characters were so fun to read about, as was the inventive world of superheroes Nicole Burstein has created. I don’t think I’ve ever seen an author’s personality reflected so much in their work as in Othergirl. (Also, bonus! Little comic book tributes hidden in the novel…) Highly recommended – this has fast become a favourite of the year. I purchased a copy of OTHERGIRL from a local bookstore. This entry was posted in Uncategorized and tagged 2015 release, action, andersen press, comic books, contemporary, debut novel, geeky, nicole burstein, othergirl, superheroes, YA, ya fiction on April 29, 2015 by keithbwalters.